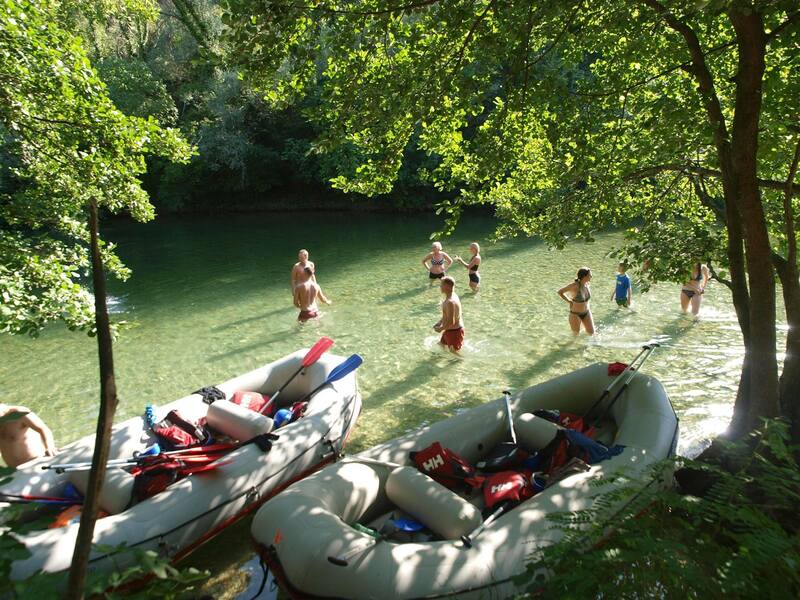 For an exhilarating but also relaxing day out in nature, come and join us for our Cetina river rafting tour. 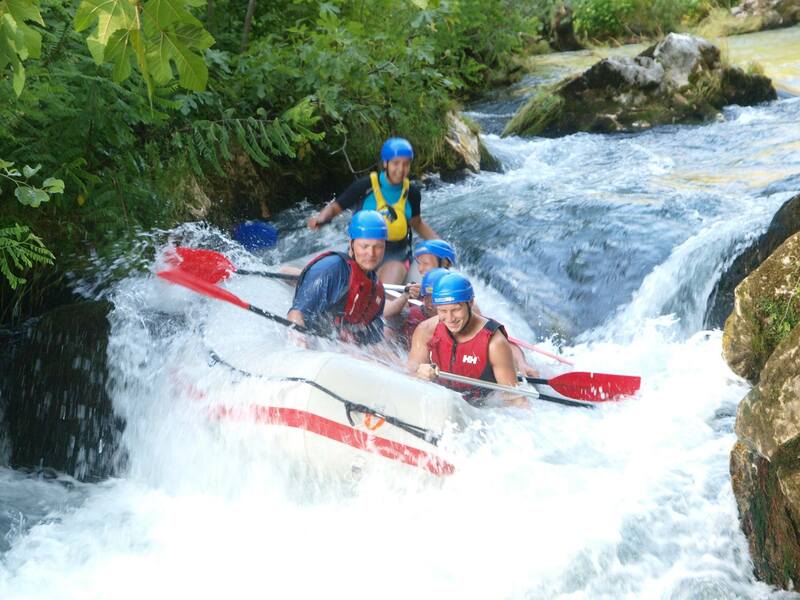 Our Cetina river rafting tour, just outside Omis, offers leisurely river rafting through beautiful Croatian countryside, and is punctuated by grade 2 and 3 rapids, providing a perfect combination of relaxation and adventure. Our rafting Omis experience takes about 3 –4 hours, after which we will take you to a Croatian mountain village for a truly authentic Croatian experience. 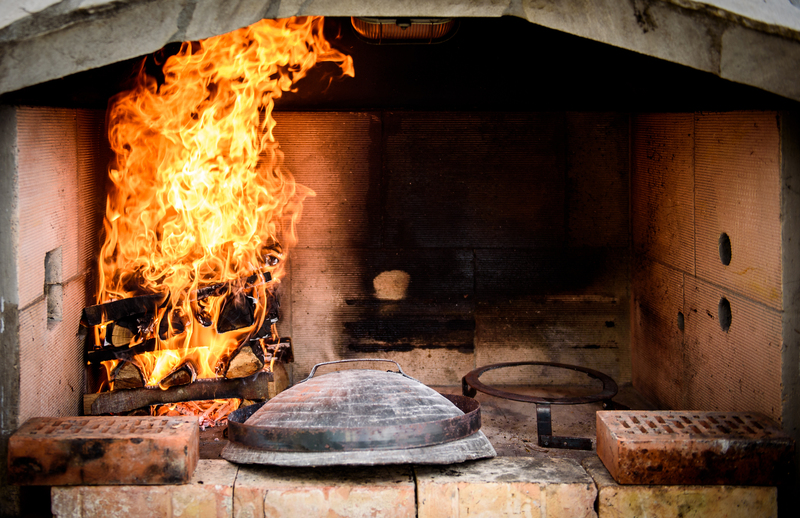 There will be an opportunity to meet the locals, enjoy a wonderful lunch at a local family restaurant and an opportunity to try the renowned Croatian Peka – see our blog – The Croatian Peka – we cater handsomely for vegetarians too. This warm and welcoming Croatian family will provide you not only with a lovely lunch and homemade wine and spirits, but also give you the opportunity to experience real life in rural Croatia. They produce most of their own food, cure their own meats and make their own wines and spirits, a practice which is typical for many rural Croatian families. You will be able to sample all of these to your heart’s content, as well as find out a little more about their lifestyle, which provides a fascinating insight to those of us who are more accustomed to supermarket shopping for our food. •	For those who lack the necessary appetite we also offer an Omis rafting tour only. This tours GENERALLY starts from our offices in Split at 10h00 but we might adapt this slightly depending on conditions on the river. We’ll keep you advised. We travel to Omis (brief guided tour optional) and then to the Cetina River. We return to Split at approximately 16h30. Our guide is at your disposal throughout the tour. The “Konoba” with a chance for you to try the famous Peka – pretty good veggie option too! White water rafting followed by a visit to a rural Croatian homestead to enjoy traditional home cooked Croatian food and wines. All our tours are small group, fully guided safe experiences.